1. Heat oil in a pan. Splutter cumin seeds.Add ginger, garlic and fry for few seconds. 2. Add onion and fry till it turns golden brown.To this add methi leaves, red chilli powder, turmeric powder, garam masala and salt. 3. Mix well, cook covered for some time( 4 to 5) minutes. 4. Add boiled potato cubes. Mix gently. Cook covered for another few minutes(3 to 4) minutes.Serve hot with roti/rice. 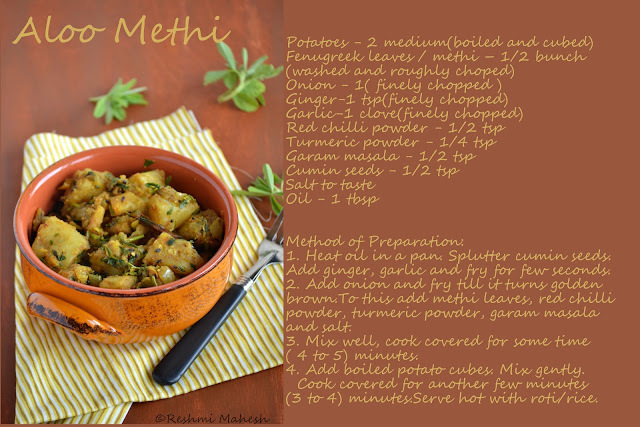 Flavour of methi is hard to beat! And the potato methi looks good too. Long time since I made it. 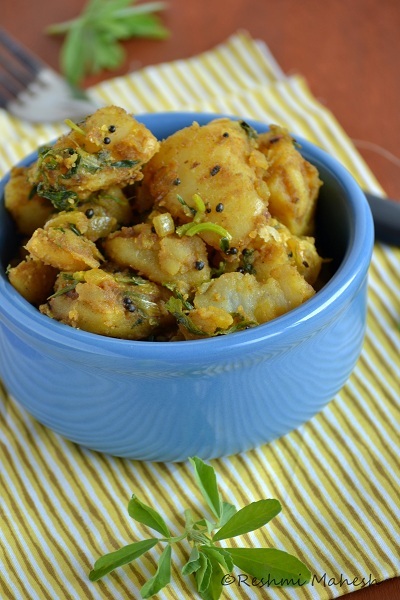 I love anything with aloo. simply love the aloo and clicks. Aloo methi's one of my favs. Such a simple and comforting dish. Great clicks. Kothiyayi kanditu..I love this..pic looks awesome !! Love this combo,flavorful and yum dish,nalla pics dear. Delicious combo for roti & beautiful clicks.. Pretty pic, love the fragrance of methi in this.. Delicious aloo methi love the click. Great click and sounds yummy! love your presentation!!!! !tasty aloo methi. 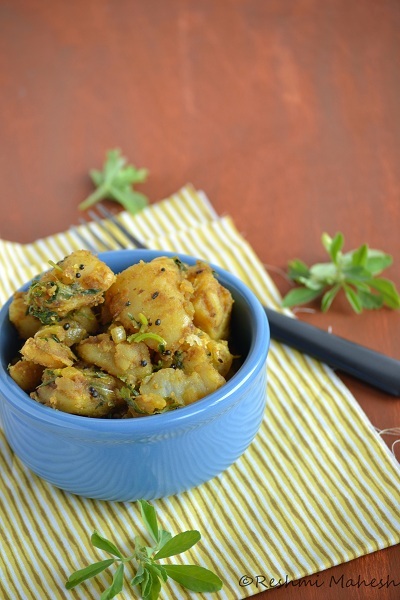 Makes me drool, i can finish a bowl of this aloo methi just like that. I love the way you take your pictures....very neat and presentable!! Wonderful recipe....my family would love this anytime of the day! 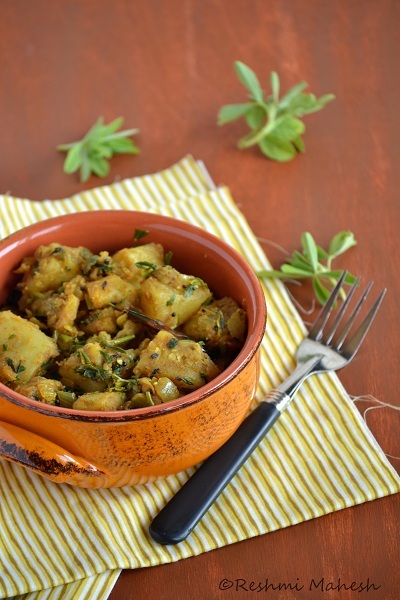 Aloo methi looks delicious... wonderful presentation..